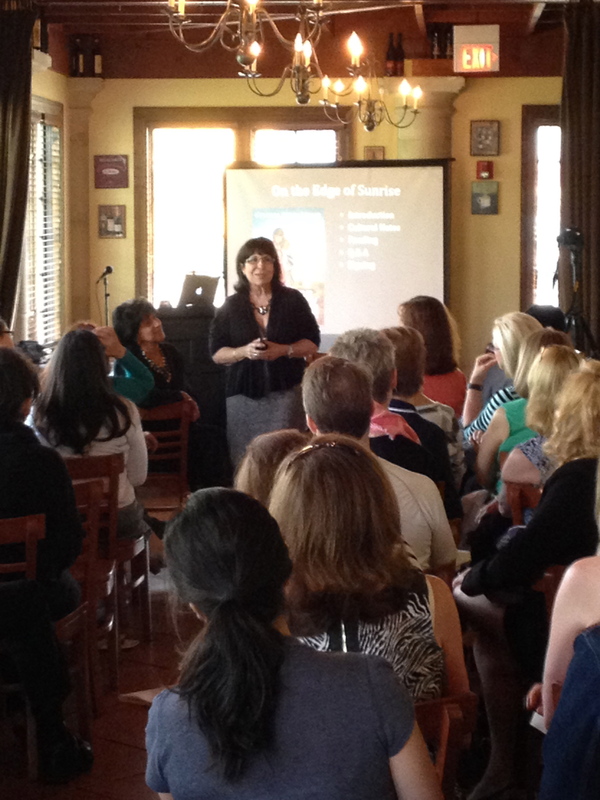 To schedule an event, book talk, or signing, please feel free to contact me. Saturday, March 9, 2019 at the Wauconda Area Library from 11- 2pm. Tuesday, March 26, 2019 and Wednesday, June 26, 2019 at Barnes & Noble in Crystal Lake, IL from 6-8pm. Schaumburg Public Library, October 13, 2018 from 11-1pm. 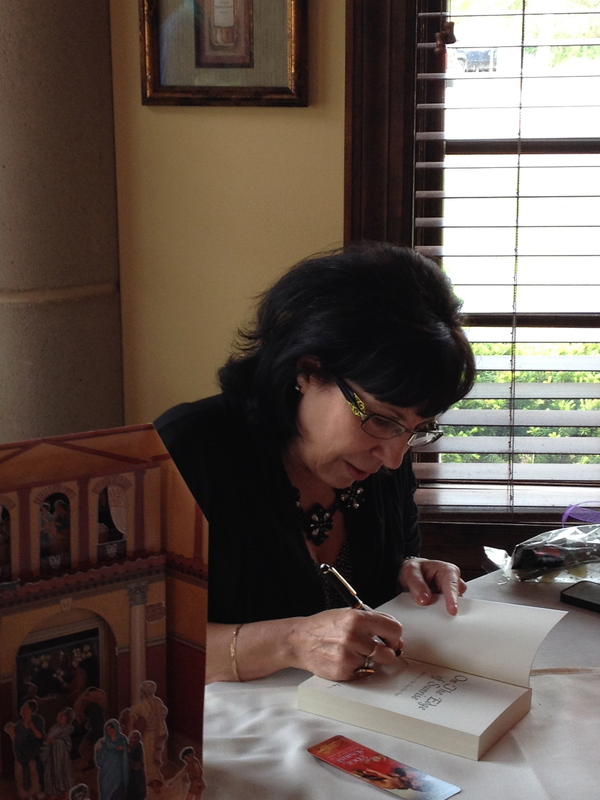 On Thursday, March 2, 2017, I will be signing books at the event ‘Wine, Women & Words.‘ This is a fundraising benefit for ‘Girls on the Run’ and will be held at The Pointe in Crystal Lake, IL from 7:00 to 9:00 pm. 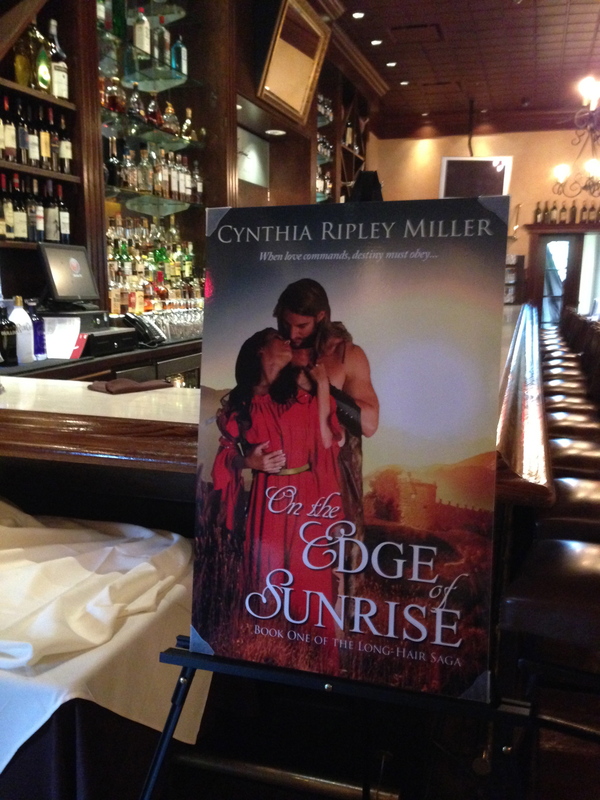 Cynthia Ripley Miller launched her debut novel, On The Edge of Sunrise, on May 17, 2015 to over 70 participants. 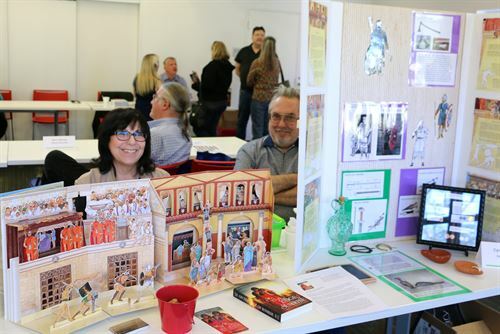 She spoke about what led her to write a novel set in late ancient Rome, the cultural times her characters live in, and along with two friends read interpretive excerpts from her novel. Afterward, she held a Q&A session and signed books. The day was a tremendous success and great fun!